Conference Series LLC Ltd invites all the participants from all over the world to attend our upcoming “4th International Conference on Neuroscience, Neuroradiology & Imaging” going to be held during June 24-25, 2019 at Ho Chi Minh City, Vietnam. The main theme of our conference is “Detecting the challenges and reducing the risks of Neurodisorders" which covers wide range of critically important sessions. Around 1 billion people, nearly one in six of the world’s population, suffer from Neurological disorders, from Alzheimer and Parkinson Diseases, Strokes, Multiple Sclerosis and Epilepsy to Migraine, Brain injuries and Several Neuro-infections. The World Health Organization estimated that Neurological disorders affect up to one Billion people Worldwide. In fact, Neurological diseases make up 11 percent of the World’s disease burden, not including mental health and addiction disorders. Conference Series LLC Ltd organizes 3000+ Global Events inclusive of 2000+ Conferences, 500+ Workshops and 500+ symposiums on various topics of Science and Technology across the globe with support from 1000 more scientific societies and Publishes 900+ Open access journals which contains over 50000 eminent personalities, reputed Scientists as Editorial Board members. Conference Series LLC Ltd scientific events are the specially designed cluster of a program that provides a common platform where industry meets academia to discuss the recent issues and happening. It serves as a bridge between researchers from academia and industry enhanced by its well organized scientific sessions, plenary lectures, poster presentations, world-class exhibitions, diverse symposiums, highly enriched workshops and B2B meetings. These events emphasize the knowledge of all participants in different sectors and fields. The most Complex object in the universe known is the Human Brain which comprises of a Hundred Billion Neurons and several Connections between them. Nanotechnology involves working with nanostructured materials which are of 1 billionth of a meter that replicate the neurobiological systems in the human Nervous system. Neurons are Nano-scale sensitive and complex cells which involve challenging functioning which is difficult to be known. Here involved the nanotechnology, which may benefit from research of Nano scale analysis of chemical and electrical challenges in the human brain. However these Nano materials which react with the lipids, proteins in the body leads to Nanotoxicology. By following the protocols and methods these toxicities can be avoided helping to study the future challenges in Nano-Neuroscience with the ultimate aim of curing several diseases associated with nervous system. Neurotechnology is any Technology that allows the neurologists to visualize the brain in various aspects of consciousness to understand the brain function and to improve, repair it. Recent innovations in neuroscience helped in recording, monitoring decoding and modulating the neural correlates of mental processes with accuracy and resolution thus creating the pathway for better understanding of human behavior. Sports neurology deals with diagnosing and management of neurological disorders and neurological injuries as a result of participation in athletic activities. The injuries caused may damage some nerves of nervous system thus leading to change in normal function of brain; hence these must be treated soon by using Sports Medicine. Psychoanalysis is the therapy involving the analysis and understanding of Psychological problems and treating them with the knowledge from theories proposed by Sigmund Freud. Psychoanalytic Psychologists believe that Psychological problems are rooted in the unconscious mind of the patient and if the unconscious is made conscious then the patient himself can deal with it. The right to psychological continuity. Cognitive Neuroscience studies how human brain comprising of complex neuronal architectures, communicates and operates the processes that underlie cognition. Summary: Neuroimaging 2019 welcomes Attendees, Presenters, and Exhibitors from all over the world to Osaka, Japan. 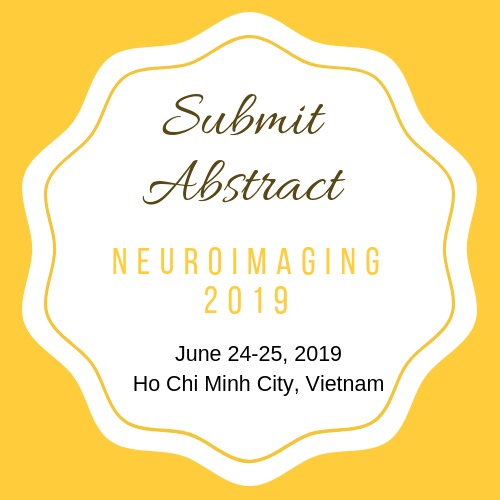 We are delighted to invite you all to attend and Register for the “4th International Conference on Neuroscience, Neuroradiology & Imaging” which is going to be held during June 24-25, 2019 at Ho Chi Minh City, Vietnam. The Organizing committee is gearing up for an exciting and informative Conference program including Plenary Lectures, Symposia, Workshops on a variety of topics, Poster Presentations and various programs for Participants from all over the world. We invite you to join us at the Neuroimaging 2019, where you will be sure to have a meaningful experience with Researchers and Industrial people across the world. 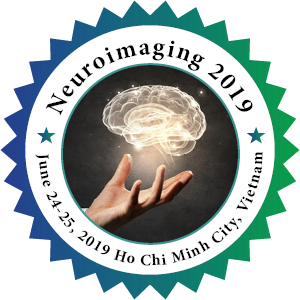 All the members of Neuroimaging 2019 organizing committee look forward to meet you at Ho Chi Minh City, Vietnam. Global Neuroscience Industry demand was worth USD 24.09 Billion in 2013 and is anticipated to reach above USD 30.80 billion by 2020. Rising investment in R&D resulting in the development of numerous products in the Neuro-informatics coupled with adequate funding from the Government are key factors that drive growth in this market. Ho Chi Minh City is the largest and the most populous metropolitan City in Vietnam populated by about 12 million people. It contains 8.34% of the population of Vietnam by taking up just o.6% of the country’s land area. It is located in the south-eastern region of Vietnam which is 1,760 km south of Hanoi. Accounting for a large proportion of the economy of Vietnam, Ho Chi Minh City stood as the economic center of Vietnam with 20.2% of its GDP, 27.9% of industrial output and 34.9% of the FDI projects. GDP per capita reached $2,800, compared to the country's average level of $1,042. By the end of 2014, the city's GDP grew 9.5%, with GDP per capita reaching $5100. The health care system of the Ho Chi Minh City is relatively developed comprising of the top medical facilities in South-East Asia including about 100 government owned hospitals and dozens of privately owned clinics. It has several Neurological associations and Neuroscience research centers located in and around Ho Chi Minh City. Ho Chi Minh City has the busiest airport with the largest visitor volume and it is given 18th place in the top 25 destinations in Asia. The tourist attractions involve Cu Chi Tunnels, Cao Dai temple, Jade Emperor pagoda, The Binh Tay Market, War remnants museum, Bitexco tower and Sky deck, Reunification palace and many more. 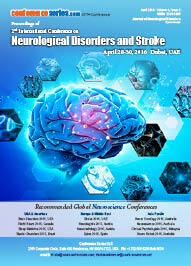 4th International Conference on Neuroscience, Neuroradiology & Imaging is a unique forum to bring together worldwide distinguished academics in the field of Neuroscience, Neuroradiology and Neurology, Brain researchers, public health professionals, scientists, academic scientists, industry researchers, scholars to exchange about state of the art research and technologies in Neuroimaging. Aim of this conference is stimulate new ideas in Neuroimaging for treatment that will be beneficial across the spectrum of Neuroscience. 3rd International Conference on Neuroscience, Neuroradiology and Neuroimaging was organized during October 03-04, 2018 at ANA Crowne Plaza, Osaka, Japan with the genuine support and contribution of the Organizing Committee Members. Firstly we must grateful you for believing us and participating at Neuroimaging 2018, a world’s platform to discuss many important aspects of Neuroscience, Neuroradiology and Neuroimaging. There are ample of reasons to extend our honor to you for making Neuroimaging 2018 a wonderful conference. We could not have done it without your genuine support and trust towards our organization, which jointly made to achieve Neuroimaging 2018 a new peaks in the field of Neuroscience. The conference was set up with the participation of youth and splendid researchers, business delegates and talented student representing more than 15 nations, who have driven this occasion into the way of achievement. 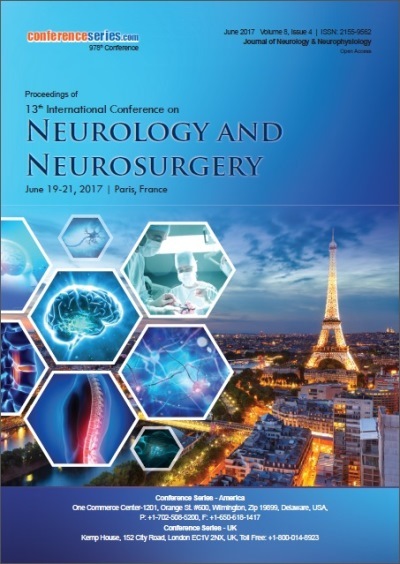 The conference was organized with the theme “Recent innovations and Trends in Neuroscience, Neuroradiology and Imaging Techniques”. 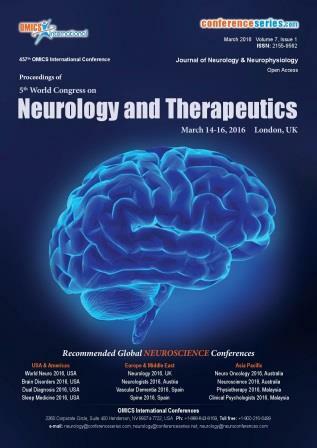 The event embedded a firm connection of forthcoming techniques in the field of Novel methodologies and Developments in Neuroscience with eminent researchers. The conceptual and relevant information shared, will also forward a well organizational coordinated efforts to sustain scientific achievement. Ekaterina Naumova, IRTC Eye Microsurgery Ekaterinburg Center, Russia. 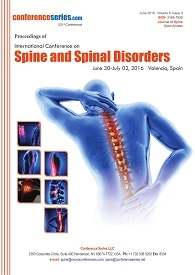 The conference saw an amalgamation of peerless speakers, Keynote sessions, symposiums, eminent researchers and delegates who enlightened the whole members with their advantageous research knowledge and on diversify alluring topics related to the area of Neuroscience, Neuroimaging and Neuroradiology through their brilliant presentations at the podium of Neuroimaging 2018. So as a continuation of Neuroimaging 2018, we would like to invite you to our upcoming 4th International Conference on Neuroscience, Neuroradiology and Imaging during June 24-25, 2019 at Ho Chi Minh City, Vietnam. For 2019 we are extending our focus towards whole aspects of Neuroscience Research findings. Our organizing committee is gearing up with more innovative and explorative sessions of the Neuroscience, Neuroradiology and Neuroimaging. Your proficiency and knowledge in the field of Neuroscience, Neuroradiology and Imaging will provide an opportunity to discuss and respond to a series of queries about the status of advancement of Neuroimaging 2019.